In this series, we are continuing to look at the evolution of funeral cars through the ages. Here are several more examples of how hearses have changed through the decades. These funeral cars typically had carved windows and ornate decorations that resembled the horse-drawn carriages of decades past. These models generally had white-walled tires for extra class and a touch of sophistication, too. Model A funeral cars had elaborate carvings that you simply do not see on today’s hearses. The sides of these cars had carvings that looked like rippled curtains and decorative scrolls to give them a truly unique appearance. During the 1940s, gothic hearses and funeral cars were becoming fairly popular. The sides of the back of these cars looked like stained glass windows from an elaborate Catholic church. They had a reverent appearance that is hard to find these days. Although they are called flower cars, these funeral cars were rare and they were designed to carry caskets rather than flowers. 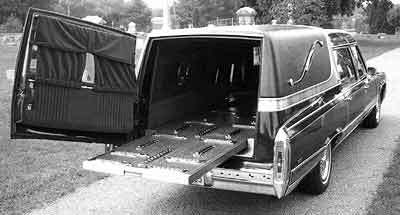 They did not have the typical appearance of a hearse, but they still had ornate panels and the sleek style of funeral cars. These flower cars were popular toward the end of the 1940s and included a platform in the back designed to carry flower arrangements. Underneath that platform was also a place where the casket could slide in and out. In our next installment, we will have a few more brief descriptions of styles for you. Be sure to come back for more! Have you ever worried about what the planet is going to be like after you die? If so, there are things you can do to contribute your little part to its sustainability. Consider making eco-friendly hearses and funeral cars a part of your pre-need funeral planning. Many funeral homes are already turning to greener alternatives for their growing fleet of cars. But, in the end, change in the professional sector is often driven by consumer demand. More and more people are asking about funeral options with a smaller carbon footprint and, for many, that means discussing cleaner running cars for their own funeral as well as funerals family and friends plan for someone who has recently passed away. is Tesla. So it should come as no surprise that Tesla has already unveiled their own fully electric hearse. Engineers cut the Tesla in half, stretched the wheel base by 30 inches and then repositioned the battery. The Dutch limo company RemetzCar worked with Vander der Lans & Busscher to put the finishing touches on with a specially designed funeral carriage profile. The concept car was unveiled at the 2016 Funeral Exhibition in Gorinchem in the Netherlands and has been making headlines ever since. And it’s been drawing plenty of attention at the 2016 Funeral Exhibition in Gorinchem in the Netherlands buyambienmed.com this week. 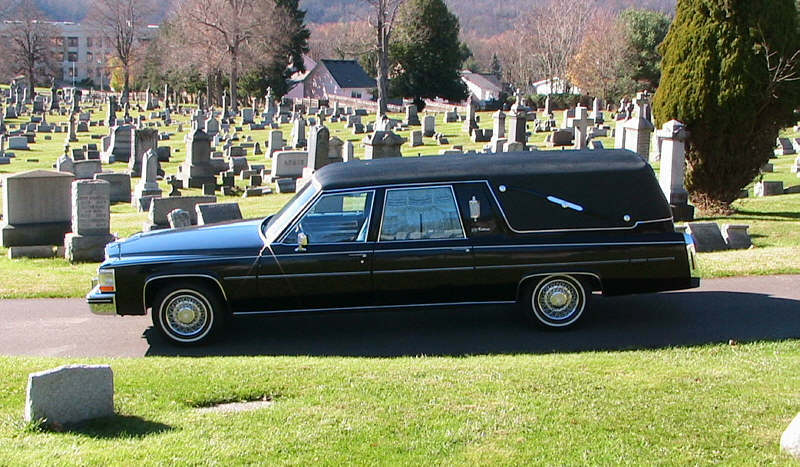 But it’s not the first – or only – greener hearse people can use for their final road trip. The Hearse & Limo Company out of the Netherlands, for example, has made a name for itself as a premier dealer of hearses and one that has made eco-friendly hearse options a priority. They now offer hearses with hybrid technology, options that run on green gas and even fully electric models. And let’s not overlook the other major player in the world of hybrid cars – Toyota. When Toyota unveiled the Prius it was a game changer in the auto industry. Strong interest and sales proved that there was a real and dedicated market for hybrid cars and the Prius became the industry’s flagship model. Made – and priced – with the wider market in mind, Toyota has become a major player in the world of hybrid cars. Way back in 2009 they announced their Toyota Prius hearse which boasted an impressive 49 mpg. A shift for greener, more energy efficient cars has been growing for more than a decade now. As we adapt the cars we use every day it makes sense that we also design new specialty cars and other forms of transport to be in line with a greener, cleaner and more Earth friendly approach. After all, there’s something to be said for doing what we can to leave the world a little nicer than we found it.